One of these following facts about Verona Italy should be one of the best information if you want to take a holiday to Italy. If you want to spend your time somewhere interesting, Verona would be the first place to visit. Verona is a city straddling the Adige river in Veneto, northern Italy, with approximately 265,000 inhabitants and one of the seven chef-lieus of the region. It is the second largest city municipality in the region and the third of northeast Italy. The city has been awarded World Heritage Site status by UNESCO because of its urban structure and architecture. To get to know more about this city, here are some facts about Verona Italy you may like. 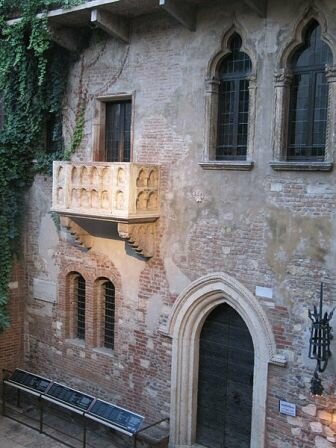 Three of Shakespeare’s plays are set in Verona. Those plays are “Romeo and Juliet”, “The Two Gentlemen of Verona” and “The Taming of the Shrew”. Verona has a humid subtropical climate characteristic of Northern Italy’s inland plains, with hot summers and cold, humid winters, even though Lake Garda’s quasi-Mediterranean climate has a partial influence on the city. Verona preserved many ancient Roman monuments, no longer in use, in the early Middle Ages, but much of this and much of its early medieval edifices were destroyed or heavily damaged by the earthquake of 3 January 1117, which led to massive Romanesque building. 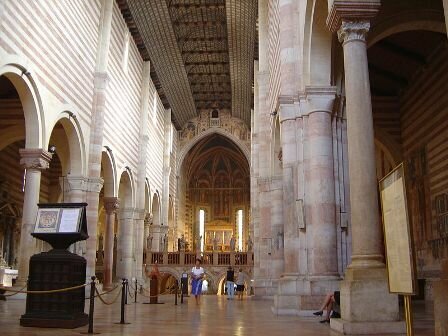 The Basilica of San Zeno Maggiore is considered one of the great achievements of Romanesque architecture. The present structure is the third on its site, built from 1123–1135, over the 4th-century shrine to Verona’s patron saint, St. Zeno. The facade dominates the large square, and is flanked with a beautiful 72 metres tall bell tower. The town has three professional football teams. Historically, the city’s major team has been Hellas Verona, which is now in the first division of Italian football, Serie A, Chievo Verona and Virtus Vecomp are the other teams. The precise details of Verona’s early history remain a mystery. 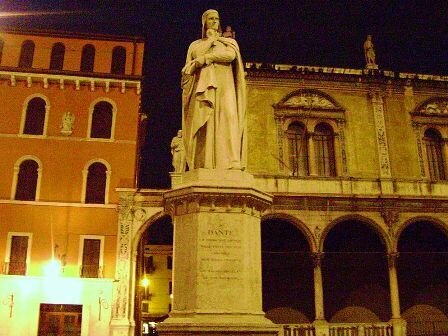 The origin of the name Verona is also unknown. One theory is it was a city of the Euganei, who were obliged to give it up to the Cenomani (550 BC). With the conquest of the Valley of the Po, the Veronese territory became Roman (about 300 BC). The largest immigrant group comes from other European nations. The largest comes from Romania: 3.60%, South Asia 2.03% and sub-Saharan Africa 1.50%. The city is predominantly Roman Catholic, but due to immigration now has some Orthodox Christian, Muslim and Hindu followers. The Roman military settlement in what is now the centre of the city was to expand through the cardi and decumani that intersect at right angles. This structure has been kept to the present day and is clearly visible from the air. Verona’s main station is Verona Porta Nuova railway station, to the south of the city centre. It is considered to be the ninth busiest railway station in Italy, handling approximately 68,000 passengers per day, or 25 million passengers per year. Verona Airport is located 2.7 NM (5.0 km; 3.1 mi) southwest of Verona. It handles around 3½ million passengers per year. It is linked to Porta Nuova railway station by a frequent bus service. There are direct flights between Verona and Rome Fiumicion, Munich, Naples, Frankfurt, Catania, Paris Charles De Gaulle, London Gatwick, Palermo, Manchester, Vienna Schwechat and Cagliari among others. 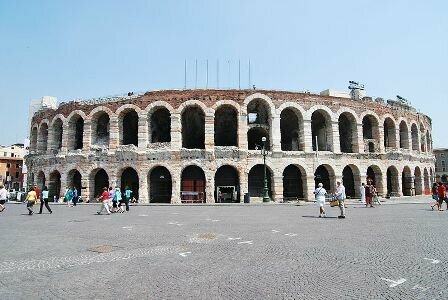 Though Verona is some parts of Italy, its scenery and beautiful architecture are able to beat up all buildings in Italy. 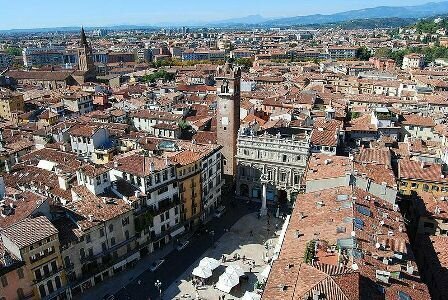 Hope you would find those Verona Italy facts really interesting and useful for you holiday information.